Not quite California but reminiscent of a less crowded California! 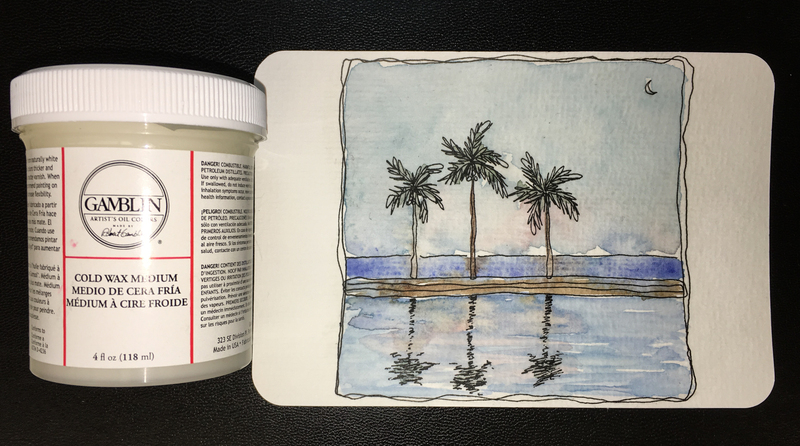 I wanted to mitigate the possibility of smudging when sending my postcards, so I coated them with a thin coat of Gamblin’s Cold Wax Medium, using my fingers to apply. It darkens the colors just a bit — barely noticeable. Don’t rub too much or you may rub your watercolor, though I have not yet. over the top of the wax — so write on the front before you apply! 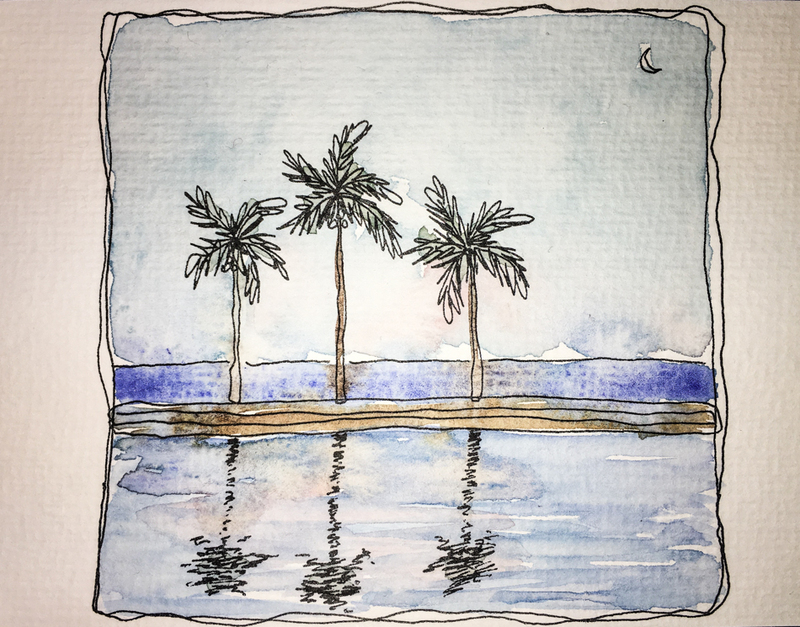 This entry was posted in cards, drawing, memory, painting, pen & ink, watercolor and tagged #coldwaxmedium, #HahnemühlePostCards, #palmtrees, De Atramentis Document ink, Gamblin Cold Wax Medium, Hahnemühle Post Cards, ocean, palm tree, palms, Platinum Carbon pen, watercolor. Bookmark the permalink. Smart idea using the wax! Yes… now I am going to try it in my journal because now I tip-in waxed paper.